Become a 2019 sponsor today! 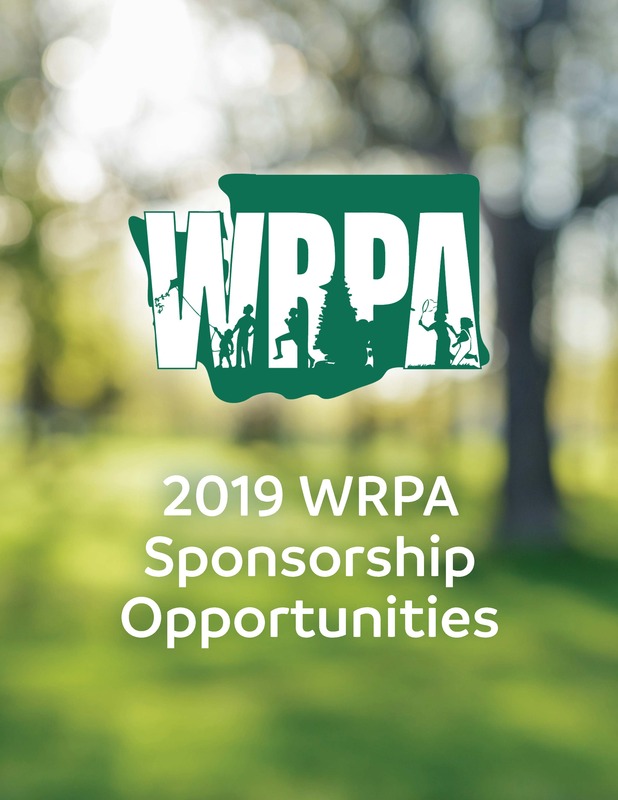 When you sponsor WRPA, you demonstrate your commitment to fostering a culture of giving in our region and promoting high ethical standards in the recreation & park profession. Your company also benefits from widespread recognition among WRPA members and people who attend our conferences, training programs, and other events. Our sponsors receive a high level of visibility and are an exclusive group of organizations. Join in the fun and consider sponsoring WRPA today! Check out the current 2019 prospectus now! Learn more about conference specific sponsorship options and exhibit booth reservations on the 2019 Annual Conference & Tradeshow webpage. Thank you for allowing Northwest Playground to be WRPA’s Platinum sponsor. We value our relationship with you and have taken pride in the small part that we play in your projects. Whether it is a memorial bench to recognize a member of the community or a destination Inclusive park that allows all kids to play together, we have enjoyed helping to make your project a success. Northwest Playground has always been known for quality products and exceptional service. We have enjoyed being your partner these last 20 years and hope to be your partner for years to come. Since 1991 SiteLines has been the first choice for playgrounds, park equipment, and products for public spaces in Washington, Alaska, and beyond. Our logistics experts and installers have shipped and installed playgrounds from Walla Walla to Barrow Alaska and as far away as Cameroon and Uzbekistan. No matter where you are on the planet we can get it to you! CityReporter software in your tablet or smartphone enables you to conduct faster, better inspections that lead to improved efficiency, risk management, and record-keeping. Perform inspections for Parks and Playgrounds, Facilities, Arenas and swimming pools, Building Permits and Construction, Fire Prevention, Sports Fields, Highways and Roads, and Workplace Safety all with CityReporter. Our web-based solution and cloud data storage ensure secure records of your inspections and detailed reports are just a mouse click away.